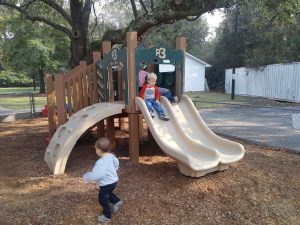 St. Andrews Presbyterian Weekday School | Support Our School! Together we can do amazing things for our children. Thank you for your support! Collect Box Tops – they are worth 10 cents each to the school! Clip them off of all General Mills products. Visit boxtops4education.com for product lists and shop the Marketplace for more great ways to help our school. Fall & Spring Contests=Great Prizes!! Collection sheets are on the cabinet in the school hallway. Register for a Publix.com account, sign up for the program “Publix Partners”, and then select our school. Enter your phone number in the PIN Pad during check-out and Publix will donate cash to our school based on a percentage of your purchase. Share our school with your friends and family. Tell the community about our school! Ask Friends & Family to sign up to participate in all of these projects. Double, Triple, QUADRUPLE what comes back to our school!! Make a Tax Deductible Contribution to the Playground Fund – NO BUYING OR SELLING THIS YEAR! There are so many, many ways you can help – just pick one. Link your VIC Card (must be done annually) to our school TIE Account #8473. The school earns a percentage of sales on Harris Teeter products. You can link your card at the checkout counter, customer service desk, online at harristeeter.com (click Together In Education) or call 1-800-432-6111.